But Microsoft doesn't get that there's a problem. Or if it does, it's not willing to say so. Instead, the vendor touted a set of "guiding principles" for servicing Windows that it has not followed, argued the patch expert who distributed the questionnaire and urged Microsoft's top executives to heed the feedback. "If Microsoft cannot see that [those who are] in charge of patching [are] now waiting and not immediately sending out updates [to workers], then Microsoft isn't listening to [its] customer base," said Susan Bradley in an email reply to questions. "If Microsoft is not realising that [its] enterprise customers are having issues with the timing of the feature updates, then Microsoft is not listening to their enterprise customers." Bradley is a computer network and security consultant and moderates the PatchMangement.org mailing list, where business IT administrators discuss update tradecraft. She also writes for AskWoody.com, the Windows tip site run by Woody Leonard, a Computerworld blogger. Last month, Bradley offered the questionnaire to the PatchMangement.org list, asking administrators how satisfied they were with Windows' patching in general and with Windows 10's specifically, among other questions. 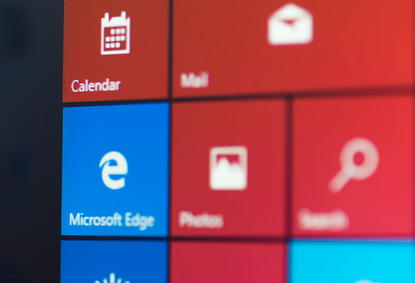 After collating hundreds of responses, Bradley penned a letter to Microsoft leaders, including Carlos Picoto, who heads the Windows servicing and delivery group, and CEO Satya Nadella. In the letter, she cited several trends gleaned from the participants' comments - that the Insider program doesn't identify problems before updates reach customers, for instance - and then asked the executives "to take the time to read the [questionnaire's] responses" because they showed that the people responsible for patching Windows systems were unhappy with the process and the quality of the updates. "I wasn't surprised [that] the IT pros who are in charge of patching are unhappy," Bradley said Monday in her email. What was a surprise to her was the fact that a majority of the respondents were unhappy: more than two thirds - 69 per cent - reported that they were either "not satisfied" or "very much not satisfied" with the quality of Windows' updates overall. "If those people in the trenches are not happy, that doesn't bode well for Windows' servicing," Bradley added. Almost as many, 64 per cent, expressed dissatisfaction with the quality of Windows 10's updates, while more than 78 per cent said that Windows 10's feature upgrades - now released twice a year - should be issued only once a year or once every two years. Bradley's questionnaire also asked whether those feature upgrades were useful to the respondents' business needs (about 80 per cent said "not useful at all" or "rarely useful") and if Windows 10 was meeting their needs (53 per cent said "yes"). Not surprisingly, none of the executives whom Bradley wrote replied personally. However, someone at Microsoft logged a support request on Bradley's behalf, after which a customer relationship manager on Microsoft's executive escalation team emailed her, first saying he was "working on finding the best venue to bring your concerns to our leadership team." A day later, the same manager told Bradley he had forwarded her letter " to a team that is better equipped to handle the concerns and feedback that you have stated," and urged her to share any suggestions or comments on the Windows Feedback Hub (Bradley had done just that several months earlier). In return, Bradley tried one more time to reach out to Nadella, Picoto and Scott Guthrie, the executive who runs Microsoft's cloud and enterprise division. In an 3 August email, Bradley stayed positive. "I know as a shareholder and customer of your software that you have to be just as concerned as I am about the quality issues of Windows patches," she wrote. "I'm not sure that the blog post is a response to me, and if it is, as I said in my [3 August] response back to management, then please do exactly what that blog post is promoting because it's certainly not being done now," she said. "'We should also provide you with updates quickly without compromising quality or compatibility' [Wilcox wrote]. "This is exactly what is not being done now and should be job one. If Microsoft honestly deep-down thinks that patches now are simple and predictable, agile and transparent, then Microsoft isn't looking at what is going on with Windows servicing," Bradley said. "[And] if the only response they can give me is to put it into Windows feedback - when I already did that - it's a disappointment to me." Part of the unrest evidenced by administrators' responses was linked to a wave of update-related problems that began in January with what Bradley called a "communication mess" around the Spectre/Meltdown patches, and continued through July, when that month's patches triggered a massive re-patching job just days later. But there was also an element of exhaustion in the questionnaire results. "We've gotten to the point of believing that we should have had all these issues worked out by now; we just got to the three-year anniversary of Windows 10 and it doesn't feel like it's gotten any better," Bradley said. "Windows updating is hard. But the constant changes have made the process of getting a machine to service updates more complicated, not less. "We're all going 'Yeah, right, like they can get that right,' and that's really sad that so many of us are guffawing and thinking to ourselves that they can't get this right." "Those principles [Wilcox outlined] should be Microsoft's goals. [But] they aren't hitting [them] right now," Bradley acknowledged. "And I, and all of the other Microsoft customers, will be keeping Microsoft to that promise. We have to get back to where we have such trust in updating that we won't wait (or rather right now as we are doing), won't skip a month to patch. "I trust that there are many inside of Microsoft who believe that this needs to be fixed. It comes down to that. I have faith that the [people] inside the corporation will push to do the right thing for the customers of Microsoft," Bradley said. "Ultimately, all I'm asking for is [Microsoft] doing the right thing for customers, and that's good business."